This uniquely contract-free home security solution is a solid bet with its focus on simplicity and low costs. If you’re looking to install a home security system in your new home, you’re going to want to focus on the factors that matter to you most, with functional protection as a given. Of course, the system has to work properly to keep your home and your family safe, but once you’ve got that base covered, there are a surprising amount of options out there. We are here to help you decide if SimpliSafe is the solution for you and your family. We’ve struggled with the same questions you have, balancing cost against features to find the best products out there. With this review, we will show you whether SimpliSafe is your best bet or not. There are dozens of factors to consider before buying any expensive product, but it’s especially important to weigh all options before dropping cash on something designed to keep you, your loved ones, and your possessions safe from harm. First and foremost is the cost. This determines the level of service you receive and the amount of features your system boasts. While a higher price tag can often mean additional perks, a lower price does not necessarily mean a low quality product. Some companies cut costs by offering DIY installation, extended contracts, and more. Another factor to consider is your level of comfort with operating the system. Some products are more user-friendly than others, and some companies offer better help than others. In the case of SimpliSafe, we’re seeing a product that’s aimed at those who want to keep costs down, so long as they are capable of installing the electronics themselves. We found the trade-off refreshing, but your mileage may vary. SimpliSafe is a home security system that’s designed to protect your loved ones and your possessions at a lower cost than its similarly-equipped competitors. The first thing you’ll notice is that there are zero contract requirements. That means you will never be locked into a 2- or 3-year contract, and you’ll be free to move, replace your devices, or change services entirely without penalty. On top of this, the company boasts a 60 day money back guarantee, adding to the initial value for a product that can often bring thousands of dollars in upfront costs. But beyond the price, what sets SimpliSafe apart? For starters, the devices themselves operate wirelessly, which is a huge advantage in our increasingly electronics-cluttered homes. Secondly, it operates via cellular communication, ensuring security even if lines are cut. Third, the monthly rates for round-the-clock monitoring compare very favorably with those of its competitors. Any home security setup worth its salt will include around-the-clock monitoring. It’s the core promise that makes the product worth it in the long run. Without remote monitoring, your alarm system is simply a loud warning to thieves, a possible deterrent that will not have the authorities on their way. 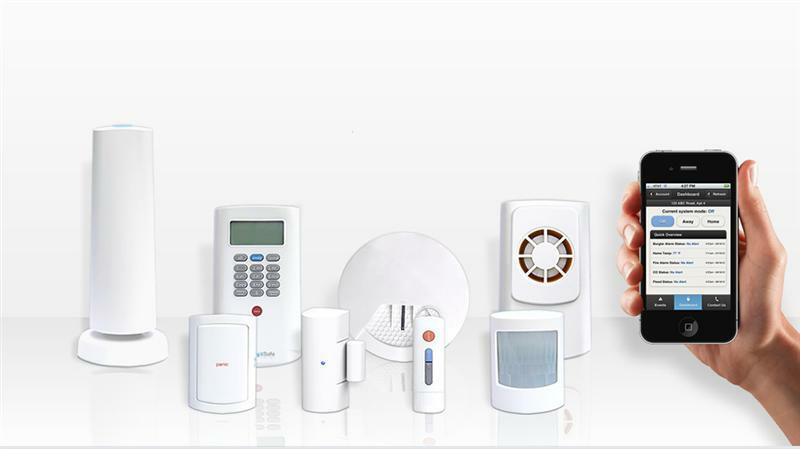 For SimpliSafe, the monitoring is done by cellular network, which means that even if intruders cut your phone or power lines, the alarm will still sound at the remote monitoring station. Batteries ensure that the devices run even when the power is out. Interestingly, SimpliSafe offers a non-monitoring setup which means a total lack of monthly costs, but we don’t recommend it. Available with SimpliSafe’s remote monitoring plan, a companion smartphone app allows you to instantly see what’s going on at home, no matter where you are. The system allows for the checking of an event log, which means peace of mind for parents wanting to know when their children arrive home. All alarm statuses can be monitored from your smartphone or computer, as well. Even better, if you spring for the optional video cameras, you can view live streaming video of your home. 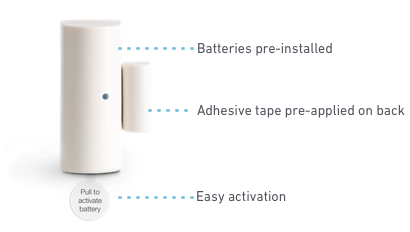 SimpliSafe is designed to expand, allowing you to install up to 41 sensors throughout your home for total protection. The best part is that installation itself is incredibly easy. The company boasts that you’ll actually enjoy setup, because of the ease of use and professional look. Devices are mounted with an adhesive surface so that you won’t even have to drill holes in walls. This means that installation is a breeze and moving the devices is just as easy. Because the whole ecosystem is wireless, you won’t have to run or organize cords of any sort. However, fresh batteries must be maintained, so the system remains functional over a long period of time. SimpliSafe boasts a remote monitoring program that costs $14.99 per month, with no hidden costs or fees. For $10 more, you get the interactive feature, which means smartphone and computer monitoring from anywhere on earth. The biggest cost with SimpliSafe is in the equipment itself. While this makes for a high initial hardware cost, the savings can be felt over time, given the low monthly monitoring rate. Hardware packages range from a five-piece starter kit at $230 to a $540 ultimate package, with build-your-own kits filling out prices in between. While these numbers might seem high, they pale in comparison to the overall cost of a system from one of the bigger-name competitors. While we were confident in our own evaluation, we wanted to see what other people thought about SimpliSafe. We searched the internet to find reviews from regular people who have firsthand experience with the product. Here are a few examples. “We absolutely love SimpliSafe. The service is excellent and the equipment is good. Today, I accidentally set the fire alarm off while cooking. I smoked the olive oil, and it made a mess. Within seconds, the fire alarm was ringing, and so was my phone. 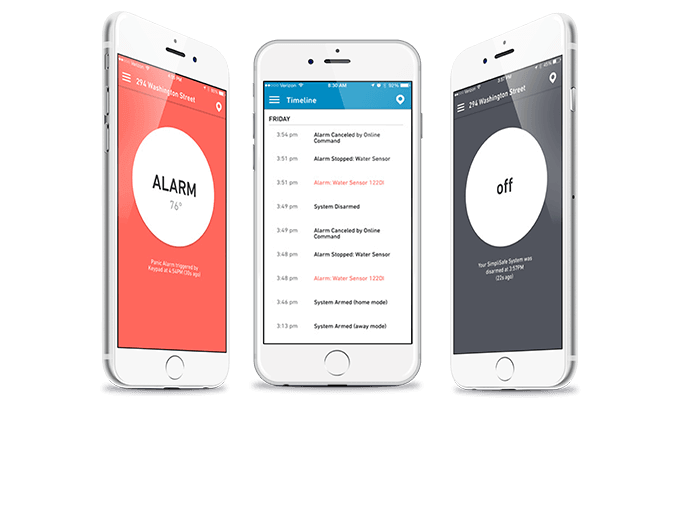 SimpliSafe had called to verify what was going on, and I told them the fire department wasn’t needed.” – Kevin S.
“Updating my review: Alarm is installed and functioning. It was a bit complicated determining which sensors to get and where to put them (I may make some changes). I do have a rather large and odd shaped house, though. I got several e mails from customer support asking how installation was going, and when I had questions, they emailed me right back. Customer support is fantastic! All components work. No problems.” – Rita C.
Vivint is a big player because of its focus on home automation, providing quality wireless home security technology. Unlike SimpliSafe, Vivint offers a comprehensive installation and setup process in which techs come into your home to set the product up professionally. There are charges for equipment and installation, but this is a boon for anyone who wants to avoid working directly with the technology. If this sounds like you, it might be a better option, provided the costs are acceptable. ADT is the most popular name when it comes to home security in America. It’s been around for decades and has an according reputation. ADT’s standard service is known for its attention to detail, including full consultation and installation. This ease of use comes with a higher price. Price: Plans run from $28.99 to $55.99 a month. The top tier plan includes remote secure video and smartphone control. Frontpoint offers a similar set of features, including DIY installation, wireless security, and smartphone access to your home security setup. Also similar to SimpliSafe, Frontpoint is known for its quality customer service, all-cellular monitoring, and lower costs. Price: $34.99 to $49.99 a month. All plans include 100% wireless and cellular system with 24/7 professional monitoring but do not include all equipment. Let’s face it: home security solutions can be prohibitively costly. Of course, we all want to ensure the safety and security of our homes, our families, and our possessions, but we don’t want to spend more than we can afford to do so. The DIY approach and a la carte style hardware selection from SimpliSafe is meant to cut costs in an innovative way for those with the confidence to self-install. If you’re looking for a system with one of the lowest monthly costs around, look no further. While there are a handful of drawbacks, including battery maintenance and optional video monitoring, SimpliSafe is one of the most price-conscious yet solidly equipped options available.